Much has been reported regarding Mr. Go‘s (미스터 고) production credentials. 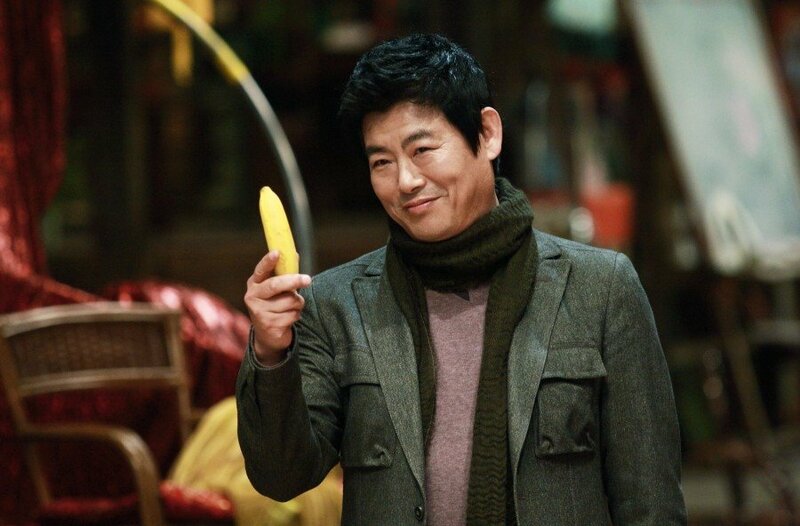 The $25 million film is jointly financed by Korea’s Showbox/Mediaplex alongside China’s Huayi Bros. Corporation, who invested around $6 million – quite a landmark in terms of scale. Furthermore Korean VFX team Dexter Digital – set up by writer/director Kim Yong-hwa (김용화) especially for the film – had the unenviable task of creating the titular gorilla onscreen, employing some 150 staff to painstakingly use their expertise for over 1000 shots. So with such an incredible production history, is Mr. Go worth the wait? Visually speaking, very much so. Dexter Digital are to be congratulated for producing such incredible computer-generated imagery, which is certainly on par with recent Hollywood fare. Yet the family film stutters from beginning to end with an underwhelming narrative, one that fails to entertain both adults and children, and is crucially lacking in fun. Based on the popular ’80s comic The 7th Team by Heo Young-man, Mr. Go tells the story of a poor but happy circus family in China. The ringmaster is a keen baseball fan and terrible gambler, and as such teaches circus gorilla Ling Ling to play the sport whilst simultaneously accruing enormous debts with local gangsters. Yet Ling Ling is a gentle soul, and upon being introduced to baby Weiwei, the two grow up together developing an unspeakable bond. Disaster strikes during an earthquake however, as the ringmaster dies leaving his responsibilities – and his sizable debt – to 15 year old Weiwei (Jiao Xu). To pay off the gangsters, Weiwei and Ling Ling take up the offer of Korean sports agent Seong Choong-soo (Seong Dong-il (성동일) to play baseball for the ailing Doosan Bears in Seoul. 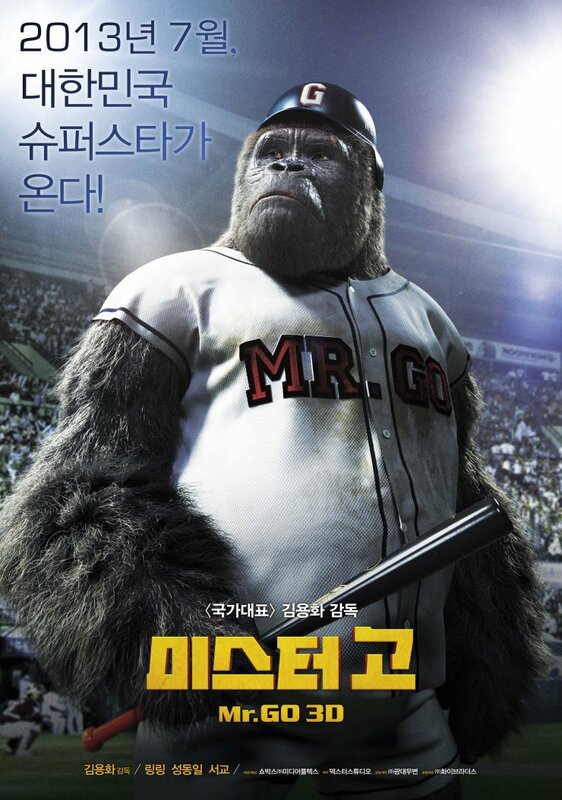 Mr. Go is very much a landmark in Korean cinema due to visual effects team, who have done a superb job in creating the fully computer-generated gorilla on the big screen. It was always something of an odd choice given Peter Jackson’s King Kong and Rupert Wyatt’s Rise of the Planet of the Apes are still in recent memory, yet Dexter Digital are to be congratulated for their work as they go toe-to-toe with Hollywood and emerge very respectably. There are even nods to such trains of thought as characters within the film mock each other with quips – a CEO chastises a helicopter team with, “Are they trying to make King Kong 2?” – playing to audience knowledge. While some of the body movements are atypical of big apes, it is wholly acceptable given that Ling Ling is playing baseball. Likewise the 3D is quite impressive as baseballs fly out of the screen while Ling Ling’s acrobatics are given extra potency, yet director Kim doesn’t include enough scenes to really justify the medium. Yet while the visuals consistently impress, the story is incredibly bland. Ling Ling and Weiwei’s history is China is glossed over in a quick montage which is a real missed opportunity, in order to make way for the baseball scenes. However when the duo arrive in Korea, the baseball scenes themselves also succumb to the montage treatment which, while easily the highlight of the entire film, is another key area of development that is not explored. Instead the narrative focuses on the board room meetings and backstage politics of sports agents, managers and moneymen, which is incredibly dull. Such scenes also open up the problematic area in representing Korean, Chinese, and Japanese characters which has become an issue due to the highly complex histories and relationships. While the representatives of each nation are mocked somewhat equally, there is still a hierarchical structure on display – when a Chinese gangster interrupts a post-game meeting, the Korean CEO asks, “Did anyone order Chinese food?” – which has displeased audiences. The focus also relegates Weiwei and Ling Ling to the background, and their absence is keenly felt. Yet ironically whenever they are on screen, they are often used merely as interesting visual devices rather than characters in their own right. Instead it’s only really Korean sports agent Seong Choong-soo who undergoes a transformation from shrewd businessman to kindly father-figure, force-fed through the inclusion of belated melodrama rather than genuine development. That said, director Kim is a very competent filmmaker, and his direction throughout Mr. Go does nothing to change his reputation. Mr. Go is a solid effort, but one in which the story fails to live to visual magic. Mr. Go (미스터 고) is a visual delight, and Dexter Digital have proven they can match Hollywood productions with their superb computer-generated expertise. 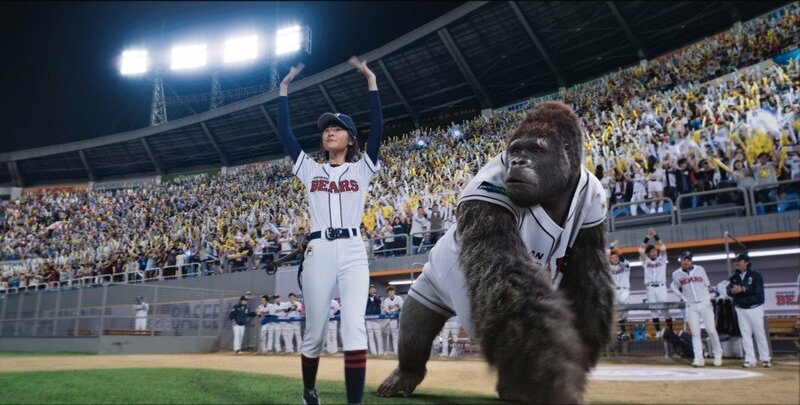 Director Kim Yong-hwa (김용화) captures the events as competently as ever, achieving the sense of awe that goes along with watching a gorilla play baseball. 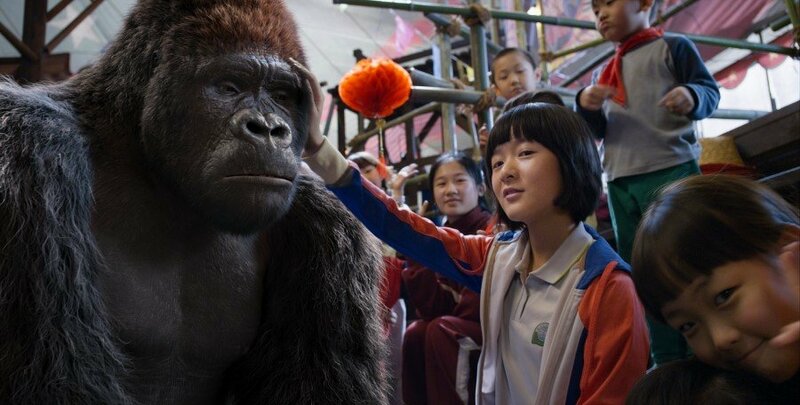 It’s a shame then that the story doesn’t match the visual prowess, bizarrely skipping over character development – particularly that of gorilla Ling Ling and trainer Weiwei – to focus on backstage baseball politics, which is a real bore. Visually impressive yet light on entertainment, Mr. Go is an unfortunate misfire.